Bombay is the 2nd largest exporter of software with annual exports of around Rs18000 crores and accounts for more than 30% of the country's software exports. For every active trader who is planning to do business in Bombay, Bombay Sea Export Data plays a very important role because it provides a probe into existing market conditions and a tool for market fluctuation speculation. 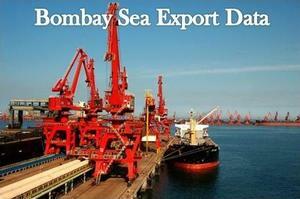 SEAIR Exim Solutions is one of a leading data provider which provides most authentic and updated export data of Bombay.